We’re back to give you your weekly dose of Caribou Lou. 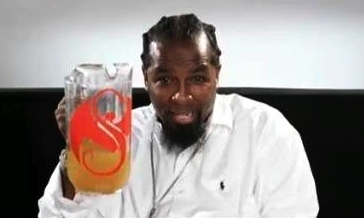 Y’all really don’t stop talking about Caribou Lou on Twitter! Gage said he was thinking about sippin’ on some Caribou Lou. But who isn’t? Starling asked what kind of place doesn’t know about Caribou Lou. What place are you talking about, Starling? Jeff said he was drinking Caribou Lou before school. We hope you didn’t get too tipsy, Jeff. Take a look below to see what everyone else said about their favorite party drink, Caribou Lou, on Twitter this week. Don’t forget to purchase “Caribou Lou” online. Ten lucky fans will receive their very own RIAA-certified Caribou Lou gold plaque, autographed by Tech N9ne himself when “Caribou Lou” reaches gold status. Forward your receipt to goldcontest@strangemusicinc.comfor your chance to win one of them!